However, social media enthusiasts who perceive social media as a new tool believe that social media benefit adolescents. They argue that bullying behavior among adolescents has nothing to do with social media. Studies conducted by Valkenburg et al (2006) and Smith et al (2008) found that the use of social media among adolescents positively correlates with self-esteem. Adolescents who have positive face-to-face relationships view interaction in social media as a reflection of the offline relationships and use social media as an additional venue to communicate. Therefore one should be wary of drawing the conclusion that social media contribute to bullying behavior among adolescents. In this essay, I will examine the question of whether social media contribute to bullying behavior by evaluating several studies related to social media use and cyberbullying among adolescents. First, I will discuss the allure of social media among adolescents. Second, I will discuss cyberbullying characteristics. Third, I will discuss cyberbullying among adolescents. Fourth, I will discuss the different responses to cyberbullying. Lastly, I will discuss the role of parents followed by the conclusion. Social media can be described as interactive media that allow users to read and write content. Social media allow people to be more creative as it gives the users freedom to produce content that they can share with their peers. In social media, the Internet users become creators as well as consumers of the content (Strasburger et al., 2013). By this definition, anyone with internet access can become a media content producer and attract his or her own consumers. One study showed that 73% of teens between 12 to 17 years old have social media accounts (Lenhart & Madden, 2007). Kowalski and Whittaker (2014) indicated that adolescents reported using the internet between 1 and 6 hours a day and most of them use social media when they access the internet. This study reported that most American teens (99.6%) used text messages frequently, followed by e-mail (98.4%), Facebook (86.5%), YouTube (75.1%), Instagram (70.9%), and Twitter (69.4%). Given that today’s adolescents frequently use social media, some people are enthusiastic about the benefits of social media as it may provide greater opportunities due to its extensive information and may have correlation with positive behavior, such as increasing self-esteem and self-confidence (Ito et al., 2010). The unique characteristic of social media in the online environment may also enable adolescents to express themselves positively (Erdur-Barker, 2010). This online platform might help adolescents to build social relationships that they may find difficult in offline situations (Amichai-Hamburger & Ben-Artzi, 2003). Having an account on social media may help adolescents to know their peers better and overcome the problems in face-to-face communication among them. In addition, social media also offer a space for adolescents to escape from conflicts with their parents. Using social media and interacting with peers in social media may help adolescents to ignore their family problems easily as social media allow them to communicate online (Compas, 2004). The ways they cope with distress involves their peers and leads to the possibility of friendship formation. One study suggested that from early to middle adolescence (grade 7 to 11), students are reported to evaluate themselves based on perspective of their classroom and friends (Harter & Monsour, 1992). This might also explain why social media is popular among adolescents as social media enable them to share information interactively with their peers. The number of friends that like pictures on Facebook and the number of friends who retweet on Twitter might be considered as a new standard of how adolescents evaluate themselves. As social media is popular among adolescents, others warn of the negative influence of social media such as cyberbullying behavior. Smith et al (2008) defined cyberbullying as “an aggressive and intentional behavior of an individual or a particular group using electronic forms of contact that is carried out repeatedly and over time against an individual or a certain group who cannot easily defend themselves.” Following the definition of cyberbullying by Smith et al (2008), bullying behavior via social media such as Twitter, Facebook, Instagram and Youtube is also considered cyberbullying. Smith et al (2008) discussed there are four key elements that characterize cyberbullying: repetition, power imbalance, intention, and aggression. The first element of cyberbullying is repetition (Patchin & Hinduja, 2006; Li, 2007). Cyberbullying that occurs in social media may be reproduced many times. Pictures, messages, or videos posted in social media can quickly and easily spread. Once a particular content item such as a picture or video is created and posted in social media, it becomes difficult to control. Such content could possibly be archived and forwarded by complete strangers (Slonje & Smith, 2008). The second element of cyberbullying is power imbalance. There is a power imbalance between the perpetrator and the victim where the victim is perceived as the weaker party who is unable to defend him/herself. The technological skill of the perpetrator creates a power differential between a perpetrator and a victim (Vandabosch & Cleemput, 2008). The third and the fourth elements are intention and aggression. These two elements are related to each other due to the fact that bullying is also defined as aggressive behavior (Smith et al, 2002). The perpetrator may have motivation and intention to harm the victim and have the desire and knowledge that the victim will be harmed. Arnett (1999) discusses how adolescence is the period of change, in which young people often engage in conflicts with parents and become involved in risky behavior. Adolescents are more likely to explore and try new things that might be different from their family values. Many young people now consider questions regarding their behavior, curfew, or treatment of others to be personal decisions no longer subject to parental control (Ybarra & Mitchell, 2004). This adolescent condition leads to conflict between adolescents and their parents. Those adolescents may express their anger about their family problems by hurting others as an expression of disappointment (Arnett, 1999). Several studies mentioned that cyberbullying mainly occurs during adolescence (Smith et al., 2008; Tokunaga, 2010; Pyzalski, 2011). One study conducted by Cook at al (2010) showed that bullying starts in primary school and lasts into high school and beyond. In his cross-sectional study, Tokunaga (2010) specifically showed that cyberbullying occurs more often among 12–14-year-old adolescents than among adolescents who are older than 15 years old. Furthermore, Pyzalski (2011) also indicated that cyberbullying that occurs during adolescence focused on peer-to-peer cyberbullying via text, Facebook, as well as via instant messages. This is in line with one of adolescence’s features discussed by Strasburger et al. (2013); that peers are really important during adolescence. Moreover, Berten (2008) explained that social influence plays such an important role in adolescence due to the indirect peer group effects such as imitation, social comparison, group conformity and norms on daily basis interactions. As adolescence is described as the period when the children view a “self” concept based on the evaluation from their peers (Harter & Monsour, 1992; Cotterell, 2007), a study conducted by O’Moore and Hillery (1991) found that there is a relationship between being a bully and self-concept. The study indicated that the bullies perceived themselves to be less well behaved, less popular, and have low performance in study. The low performance in the study of particular students may lead them to be angry and have more negative emotion towards others. This confirms that cyberbullying behavior is caused by the fact that adolescents are more likely to show aggressive behavior. In addition, there are two concepts that may explain why social media provide adolescents with more “opportunities” to bully their peers. First, unlike traditional bullying that occurs face to face, cyberbullying occurs online and allows anonymity (Kowalski & Limber, 2007). Consequently, adolescents who hurt their peers in social media do not have to worry about their real identity and do not even feel guilty. Meanwhile those who are victimized may feel more anxiety due to the fact that they do not know who has bullied them (Shariff & Gouin, 2006). Second, social media may allow adolescents to behave differently than they would normally do offline. Joinson (1998) suggested that adolescents are more likely to behave differently on the Internet due to the effects of disinhibition. Hurting their peers in social media offer anonymity and could facilitate adolescents’ aggressive behavior. Two cases mentioned in the introduction are examples of how cyberbullying may seriously affect the adolescent’s life. The impact of cyberbullying includes psychological problems as well as behavioral outcomes. One study conducted by Dempsey et al. (2009) showed that there is an association between being victim of cyberbullying and the symptoms of anxiety among American students. Following that finding, Finekelhort et al. (2000) also found that there is correlation between symptoms of depression and cyberbullying victimization. Several other cross-sectional studies also show there are correlations between being victim of cyberbullying and self-confidence and self-esteem (Price & Dalgsleigh, 2010; Ortega et al., 2009) and stress (Finkelhort et al., 2000). The victims may feel terrified, sad, embarrassed and angry at the same time. In addition, the study conducted by Price and Dalgsleigh (2010) showed that the victims of cyberbullying may experience low performance in study and have family problems. Beran and Li (2005) also support this finding that the victim of cyberbullying may experience low school achievement. Additionally, Nansel et al. (2001) indicated an association between being a bullying victim and making friends among adolescents as the victims may also have a feeling of being lonely as well as inferior psychosocial adaptations. However, it seems not all adolescents are negatively affected by cyberbullying. There are also victims of cyberbullying who find it unimportant and do not take it seriously. A study conducted by Patchin and Hinduja (2006) found that about 43% victims were not affected by cyberbullying. Three years later, Patchin and Hinduja along with Burgess-Proctor (2009) also found that more than half of their research respondents (between 12-18 years old) feel cyberbullying does not affect their life. Interestingly, those adolescents found that cyberbullying is something silly to do. When it comes to gender, scholars disagree on whether cyberbullying effects differ between boys and girls. One study conducted by Erdur-Baker (2010) found that males are more likely to be both bullies and victims. Other studies also supported that boys are more likely to be cyberbullies than girls (Dehue, Bolman & Vollink, 2013; Fanti, Demetriou, & Hawa, 2012). This is due to the fact that most males reported to be more likely to experience bullying physically over females (Nansel et al., 2001). In contrast, Kowalski and Limber (2007) found that girls are more likely to be involved in cyberbullying. Rivers and Noret (2010) also suggested the same. This could be possibly explained by the fact that girls are more involved in indirect forms of aggression (Owens et al., 2000) that might be related to verbal aggression (Keith & Martin, 2005). However, studies conducted by Smith et al. (2008) and Livingstone et al. (2010) showed that there is no significant difference in gender when it comes to cyberbullying. The difference in responses to cyberbullying shows that there are other factors that may influence how adolescents react to their peers. Family problems among adolescents are important to investigate. One study conducted by Ybarra and Mitchell (2004) indicated that students who bully online are more likely to have a problematic relationship with their parents. Those adolescents may express their anger about their family problems by hurting others as an expression of their disappointment with their current situation. Adolescence can be characterized as a period of becoming more independent (Strasburger et al., 2013). As adolescents mature, the role of parents in the family decreases. A study conducted by Larson et al. (1996) showed that the time that adolescents spend with their family decreases from 33% to 14%. This condition gives adolescents more time to explore new things by themselves, including expressing themselves and finding identity in social media (Valkenburg & Peter, 2007). Conflict between adolescents and parents may allow adolescents to experiment with a variety of behavior, including cyberbullying. Kowalski et al. (2012) reported that most adolescents did not talk to their parents when it comes to cyberbullying that they find on the Internet. One of the reasons is that they are worried that their parents will keep them away from the Internet or their use of mobile phones. Hence, parents should openly discuss the issue of cyberbullying with their children as they are one of the primary social environments for adolescents (Oetting & Donnermeyer, 1998). There are several studies suggesting that social media might increase self-esteem and positively affect adolescents’ self-confidence. Social media may help adolescents to build social relationships with other peers and help them to express themselves positively. However, there are several cross-sectional studies suggesting that social media might provide adolescents with more “venues” to hurt their peers. The nature of social media provides the anonymity that leads some adolescents to express their negative feeling to their peers without consequences that one would normally face offline. Hence, the question of whether social media may or may not contribute to bullying behavior among adolescents depends on the individual’s context. Social media may contribute to bullying behavior among adolescents when it comes to the discussion of adolescents’ development. Adolescence is the period of turbulence, instability, and a higher likelihood to take risks that may lead to aggressive behaviors. Therefore, although cyberbullying is considered an aggressive behavior, it is worth considering that cyberbullying is also a part of adolescents’ development. Adolescents who have family problems might use social media to escape from the problems and may lead them to aggressive behaviors including cyberbullying. Blaming social media as the first place when it comes to adolescents’ aggressive behavior might be misleading. Most studies that discussed social media use and cyberbullying are correlations, which do not imply causation. Finally, the fact that social media is popular among adolescents and adolescence is the period of turbulence, it is also worth considering that parents play an important role during the adolescence period. Parents’ role in educating adolescents on how to behave and interact with each other is really important as the family is one of the primary social environments for adolescents. Having an informed discussion with their children may prevent their children from cyberbullying. Amichai-Hamburger, Y. & E, Ben-Artzi. (2003). Loneliness and internet use. Computers in Human Behavior, 19 (1), 71–80. Arnett, J. J. (1999). Adolescents storm and stress, reconsidered. American Psychologist, 54 (5), 317–326. Beran, T. & Li, Q. (2005). Cyber-harassment: A study of a new method for an old behavior. Journal of Educational Computing Research, 32 (3), 265–277. Berten, H. (2008, July). Peer influences on adolescent risk behavior: A network analysis of social influence processes among adolescents in Flemish secondary schools. Paper presented at the annual meeting of the American Sociological Association, Boston, MA. Burgess-Proctor, A., Patchin, J. W., & Hinduja, S. (2009). Cyberbullying and online harassment: Reconceptualizing the victimization of adolescent girls. In V. Garcia & J. Clifford (Eds. ), Female crime victims: Reality reconsidered. Upper Saddle River, NJ: Prentice Hall. Compas, B.E. (2004). Processes of risk and resilience during adolescence: Linking contexts and individuals. In R.M. Lerner & L. Steinberg (Eds.). Handbook of Adolescent Psychology, 2nd Edition. Hoboken, NJ: Wiley. Cook, C. R., Kirk, R. W., Nancy, G. G., Tia, E. K., & Shelly, S. (2010). Predictors of bullying and victimization in childhood and adolescence: A meta-analytic investigation. School Psychology Quarterly, 25 (2): 65–83. Cotterell, J. (2007). Social networks in youth & adolescence. London: Routledge. Dehue, F., Bolman, C., & Vollink, T. (2008). Cyberbulling: youngsters’ experiences and parental perception. CyberPsychology & Behavior, 11, 217–223. Dempsey, A. G., Sulkowski, M. L., Nichols, R., & Storch, E. A. (2009). Differences between peer victimization in cyber and physical settings and associated psychosocial adjustment in early adolescence. Psychology in The Schools, 46 (10), 962-972. Erdur-Baker, O. (2010). Cyberbullying and its correlation to traditional bullying, gender and frequent and risky usage of Internet-mediated communication tools. New Media Society, 12, 109–125. Fanti, K.A., Demetriou, A.G., & Hawa, V.V. (2012). A longitudinal study of cyberbullying: Examining risk and protective factors. European Journal of Developmental Psychology, 9, 168–181. Finkelhort, D., Mitchell, K. J., & Wolak, J. (2000). Online victimization: A report on the nation’s youth (No. 6-00-020). Alexandria, VA: National Center for Missing & Exploited Children. Harter, S. & Monsour, A. (1992). Developmental analysis of conflict caused by opposing attributes in the adolescent self-portrait. Developmental Psychology, 28, 251-260. Ito, M., Baumer, S., Bittanti, M., Boyd, D., Cody, R., Herr-Stephenso, B., … Yardi, S. (2010). Hanging out, messing around, and geeking out: Kids living and learning with new media. Cambridge, MA: MIT Press. Keith, S. & Martin, M.E. (2005). Cyberbullying: Creating a culture of respect in a cyber world. Reclaiming Children and Youth 13(4): 224–228. Kowalski, R. M. & Limber, S. E. (2007). Electronic bullying among middle school students. Journal of Adolescent Health, 4, 522–530. Kowalski, R. M. & Whittaker, E. (2014). Cyberbullying via social media. Journal of School Violence, 14 (1), 11-29. Li, Q. (2007). New bottle but old wine: A research of cyberbullying in schools. Computers in Human Behavior, 23, 1777–1791. Livingstone, S., Haddon, L., Gorzig, A., & Olafsson, K. (2010). Risks and Safety on the Internet. London: London School of Economics. Oetting, E. R. & Donnermeyer, J. F. (1998). Primary socialization theory: The etiology of drug use and deviance. I. Substance use & misuse, 33 (4), 995-1026. Olweus, D. (2012). Cyberbullying: An overrated phenomenon? European Journal of Developmental Psychology, 9, 520–538. Ortega, R., Elipe, P., Mora-Merchan, J. A., Calmaestra, J., & Vega, E. (2009). The emotional impact on victims of traditional bullying and cyberbullying: A study of Spanish adolescents. Journal of Psychology, 217, 197–204. Owens, L., Shute, R., & Slee, P. (2000). I’m in and you’re out : Explanations for teenage girls’ indirect aggression. Psychology Evolution and Gender, 2, 19-46. Patchin, J. W. & Hinduja, S. (2006). 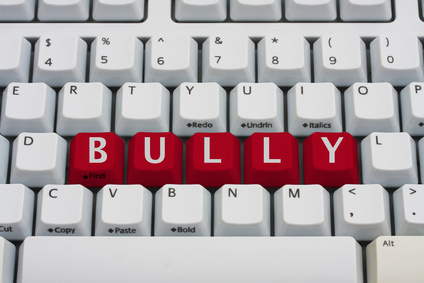 Bullies move beyond the schoolyard: A preliminary look at cyberbullying. Youth Violence and Juvenile Justice, 4, 148-169. Price, M. & Dalgleish, J. (2010). Cyberbullying: Experiences, impacts and coping strategies as described by Australian young people. Youth Studies Australia, 29 (2), 51-59. Pyzalski, J. (2011). Electronic aggression among adolescents: An old house with a new facade (or even a number of houses). In C. Hallgren, E. Dunkels, & G. M. Franberg (Eds. ), Youth culture and net culture: Online social practices (pp. 278–295). Hershey, PA: IGI Global. Rivers, I. & Noret, N. (2010). I out you: Findings from a five-year study of text and email bullying. British Educational Research Journal, 36, 643–671. Slonje, R. & Smith, P. K. (2008). Cyberbullying: Another main type of bullying? Scandinavian Journal of Psychology, 49, 147–154. Smith, P. K., Mahdavi, J., Carvalho, M., et al. (2008). Cyberbullying: Its nature and impact in secondary school pupils. Child Psychology, 49, 376–385. Strasburger, V. C., Wilson, B. J., & Jordan, A. B. (2013). Children, adolescents, and the media (3rd ed.). Thousand Oaks, CA: Sage. Valkenburg, P.M., Peter, J. S., & Schouten, A.P. (2006). Friend networking sites and their relationship to adolescents’ well-being and social self-esteem. Cyberpsychology Behavior, 9: 584 –590. Valkenburg, P. & Peter, J. (2007). Preadolescents’ and adolescents’ online communication and their closeness to friends. Developmental Psychology, 43(2), 267–277. Vandabosch, H. & Cleemput, K. (2008). Defining cyberbullying: A qualitative research into perceptions of youngsters. Cyberpsychology & Behavior, 11, 499-503. Ybarra, M. L. & Mitchell, K. J. (2004). Youth internet users: Characteristics of harasser-targets and similarities with bully-victims. The Journal of Child Psychology and Psychiatry and Allied Disciplines. UCLA Internet Report: Surveying the Digital Future Year Three. Available at: http://ccp.ucla.edu. Accessed September 16, 2005. Bro,I agree with your analysis and I think there is some more things that can be explore about this topic especially when we talk about the nature of computer and how human decide whether they will bully or not bully the person. I have no research that we can refer to but in my opinion,it seems that writing something bad for a person is easier than saying it and the person who bully underestimated the effect of the writing. The person who is being bullied also tend to overestimated the writing. The gap makes it possible. That’s what i think. I forgot one of the thing the reason of this gap is because of the time imagination problem. The one who bully underestimate the effect because he or she is not able to imagine the effect in the future clearly. The one who is bullied exaggerate the effect because of the present bias. The time he or she received the things that bully her or him gonna be his or her present time.